This year the game was on. 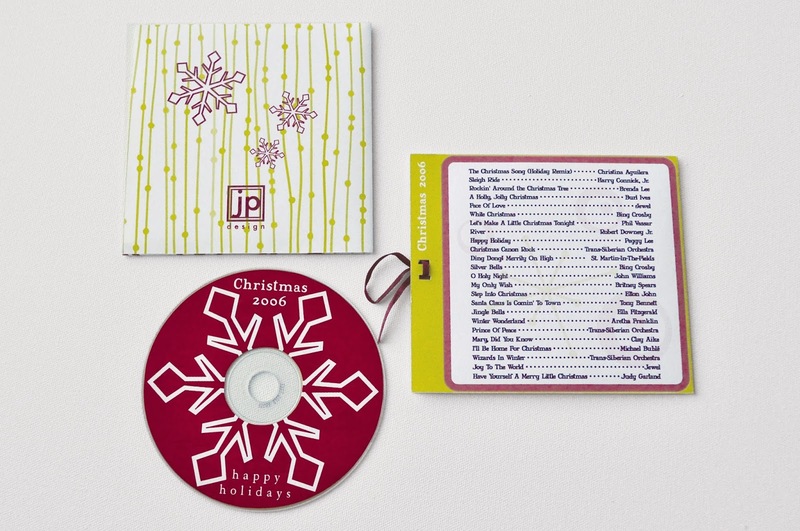 I knew that I enjoyed hearing how my family appreciated the cds so I took it on the next year. I kept the same kind of layout - an envelope fold with an opening, but this time I added another slip of paper to protect the CD. It also had a ribbon to make it look even more finished. I think this is the year I really realized this was a tradition I wanted to carry out for a while to come. Since 2005 I have done something that has become something that I'm pretty excited to share. At the time I was living away from my family in Orlando, Florida. I wanted to get something for everyone in my family, but had very limited resources (aka. the moneys) so I decided to try to get creative. Because of my limited resources, I would check out music from the public library to enjoy. 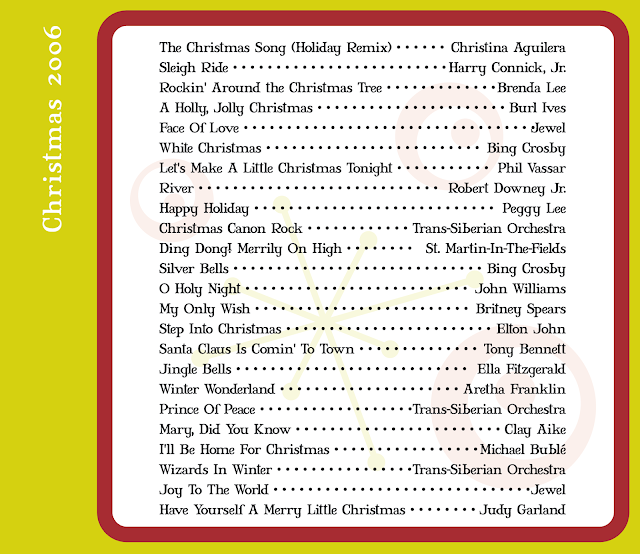 I came up with the idea to utilize this wonderful resource the government offers us to create a cumulative christmas CD of some of my favorite music to send to each of my family members. 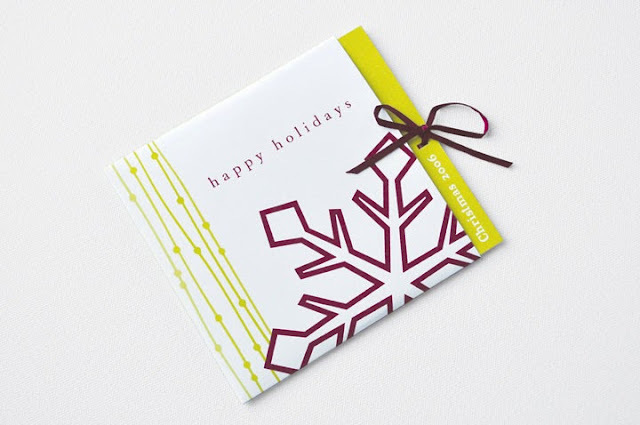 It didn't take too long that year to come up with a few of my favorites at the time, and I decided to package them with some of the paper and supplies I had at the time. Since then, I have carried the tradition from year to year until 2012. 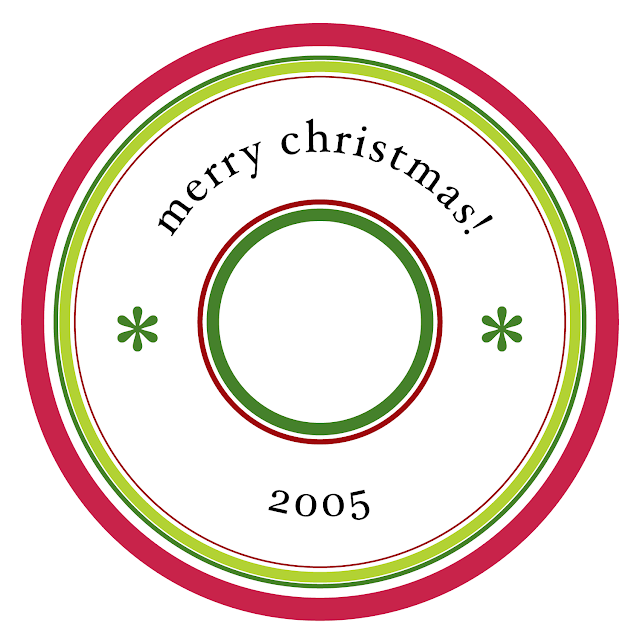 Last year was my first year that I didn't create a new CD due to the cost and time it takes to produce. From year to year I learned that the best time to start listening to music to get a jump on the newest music was Halloween! Not the most ideal time to feel like listening to Christmas music, but it definitely took the pressure off getting the project done in time when starting that early. 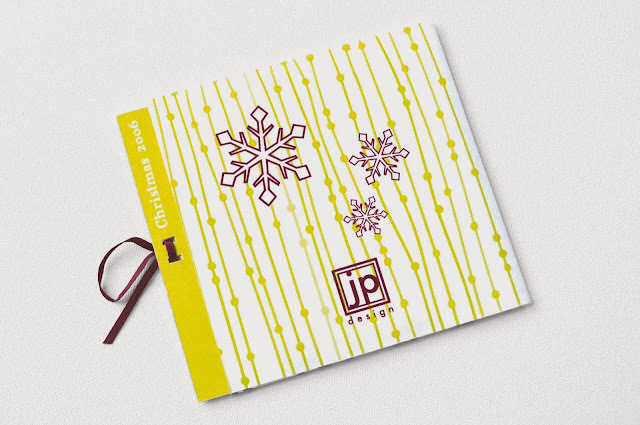 Each year it was quite the challenge coming up with a cost effective way to produce what turned into about 75 to 100 copies from year-to-year. Some years I printed on my own, and others I was able to find printers with reasonable prices. If anything, I hope this gives you some ideas on some awesome christmas music and a collection that I'm proud to call some of my favorites. So here it goes! 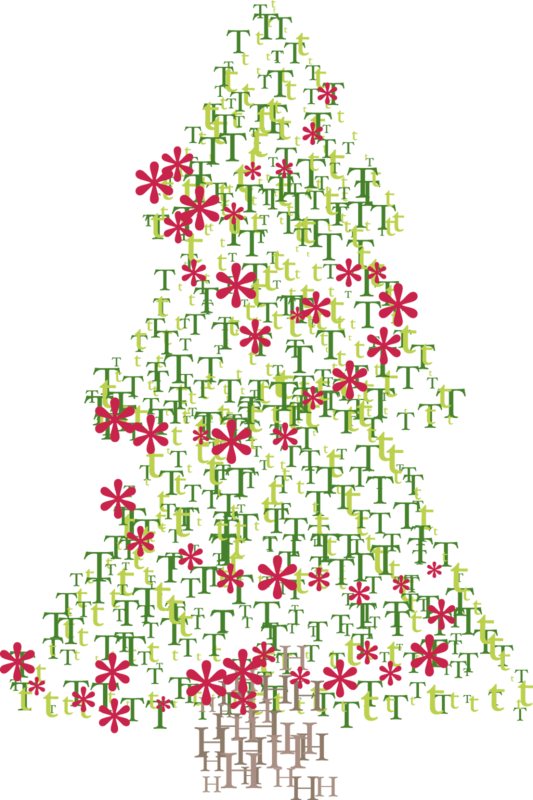 Now until Christmas, I'm going to release posts of the song lists along with the designs of what my Christmas CDs evolved into. This year is probably the most 'thrown-together' version. 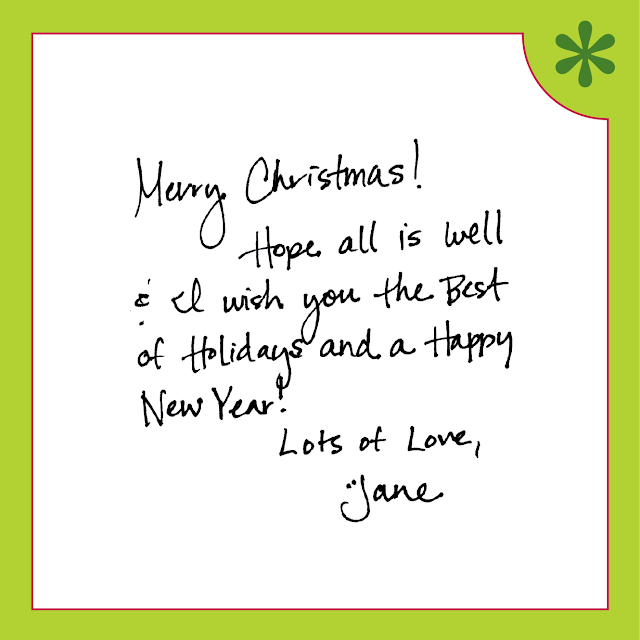 I probably sent out no more than 20; this year was more for immediate family and contained more of a personal note than a focus on design. 8. It Must Have Been ol' Santa Clause :: Harry Connick, Jr.
11. 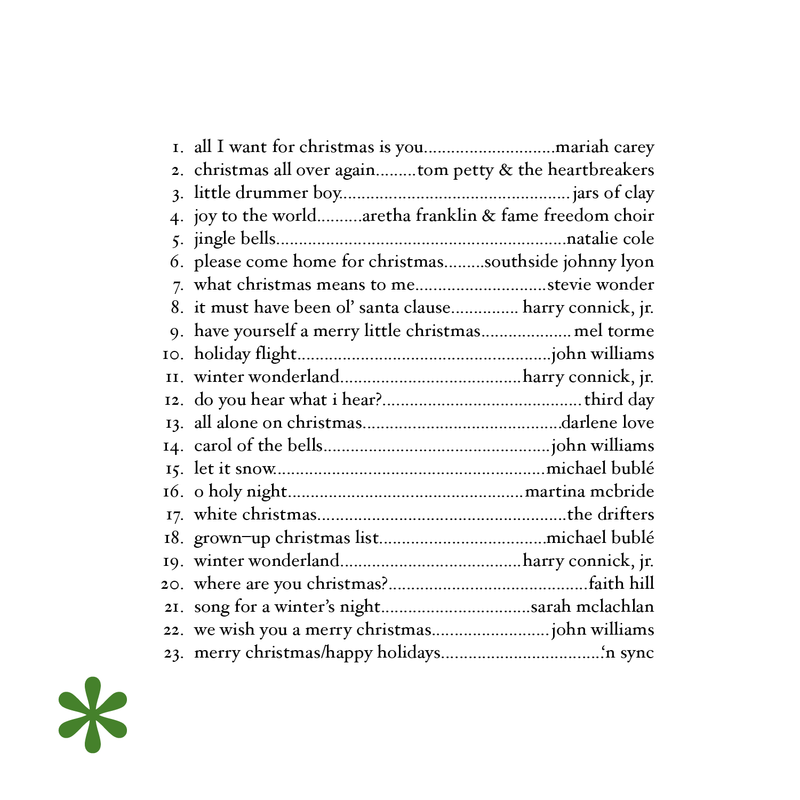 Winter Wonderland :: Harry Connick, Jr.
19. Winter Wonderland :: Harry Connick, Jr.
One of the more ambitious projects from our wedding were the name-card holders. 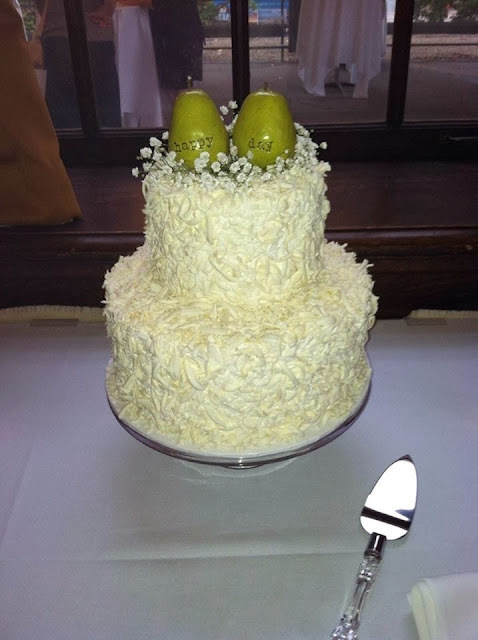 I wanted to do something to do with pears (Chad and I being the 'perfect pair' and all). Initially I wanted real pears, but a trip to the grocery store to check availability and prices ruled that out right away. I probably could have researched more into other options for this (i.e. local farms), but decided that having another vendor to deal/worry about was not something I wanted. A major factor in my decision making was wether or not it was something that would be able to be done ahead of time, or that needed to be done the week of the wedding. 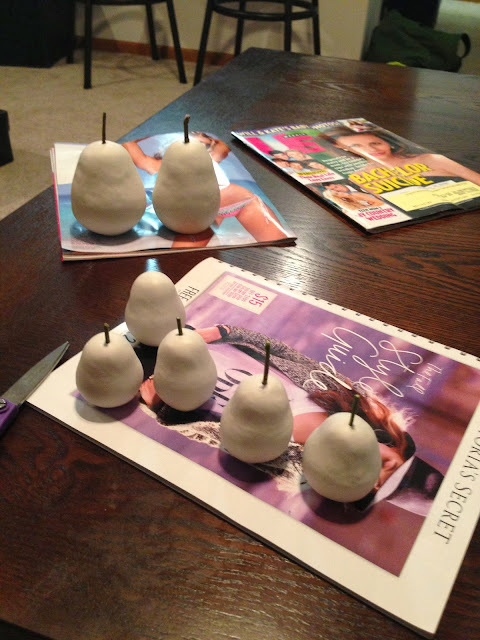 Organizing the purchase of pears and trying to do my flowers on my own were both ruled out pretty quickly. Not because it couldn't have been done, but more-so because I didn't want to have to deal with rushing around or things going wrong at the last minute that I could not control. j I found an amazing florist locally that had great prices that were about the same as ordering the flowers from Sam's club and putting the bouquets together myself. 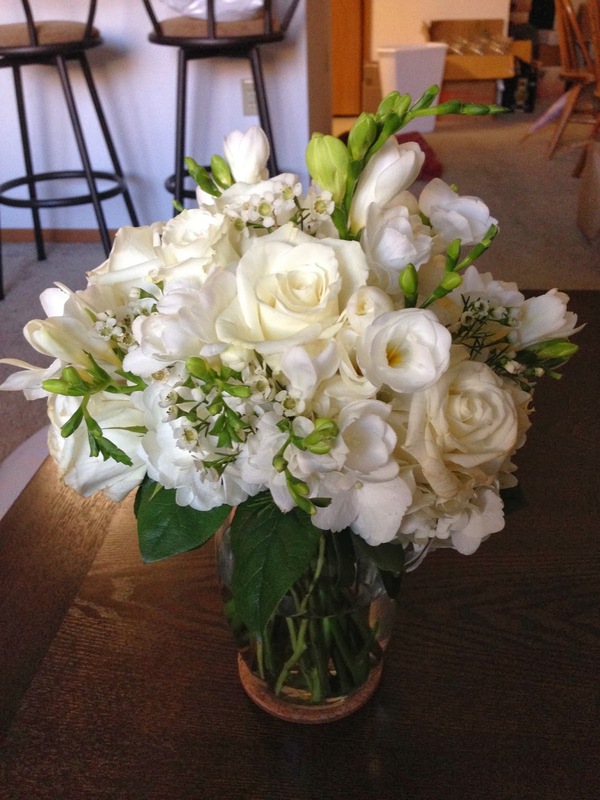 I think they did an amazing job - my bouquet was amazing! Back to my project - I initially found a recipe for a flour clay online. Flour is cheap and the clay worked pretty well. My concern was cracking (they didn't always bake all that evenly) and some were still raw. If someone wants to keep this for years to come, I didn't want it to be growing things that would make people have to throw them away. Sculpey clay it is! I priced all sorts of clay online, and this was the cheapest with the best look. I never buy anything online without discounts or coupons, so I actually got a pretty good deal. I bought about 16 lbs of clay for 150 people. We ended up only having 110 people at the wedding, so we had more than enough. 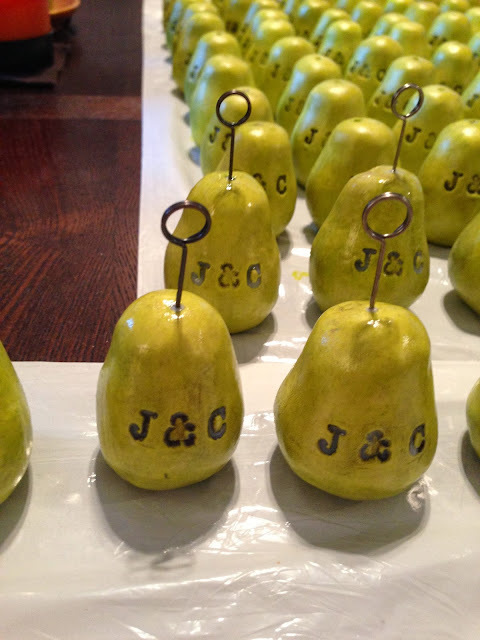 The process of the pears started with sculpting and pressing Chad and my initials into our pear. I also stuck a toothpick in the top to create the divot for the stem to come. When I began I didn't know what I was going to use, but I came across these awesome photo-holder sticks from the scrapbooking section of the craft-shop. 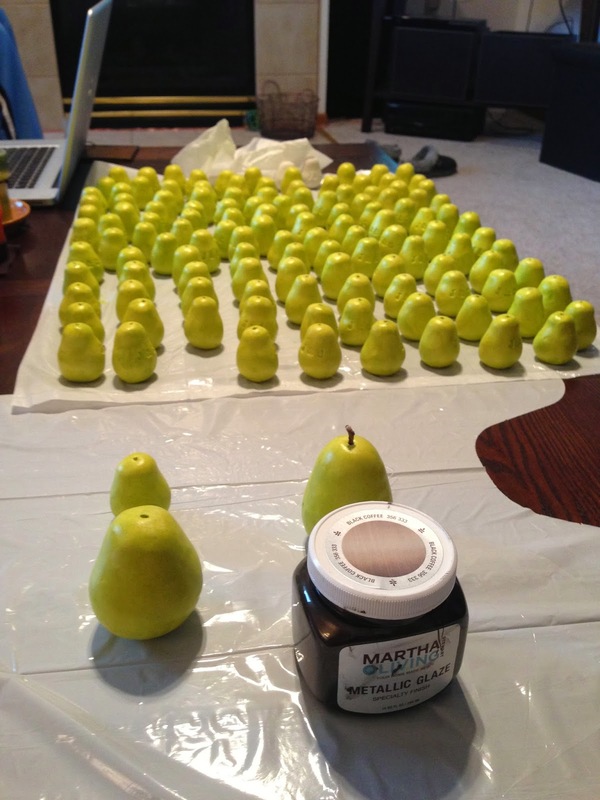 Chad and I making the larger pears for our cake-topper. You can tell the ones that Chad made - they were a little taller and leaner. I like that we had a bunch of different shapes in the mix. 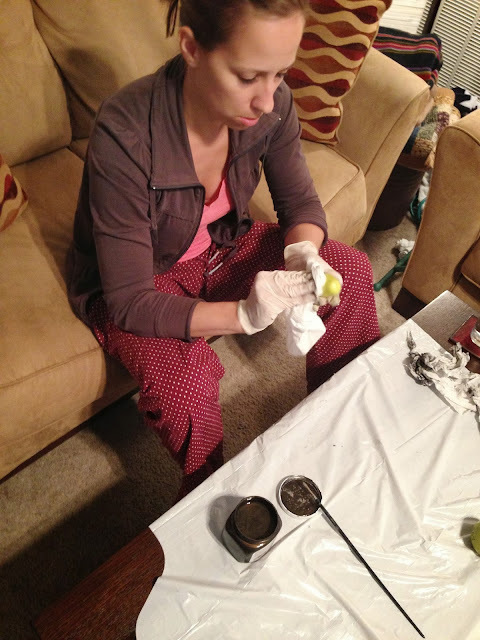 The second part of the process was the paint job. 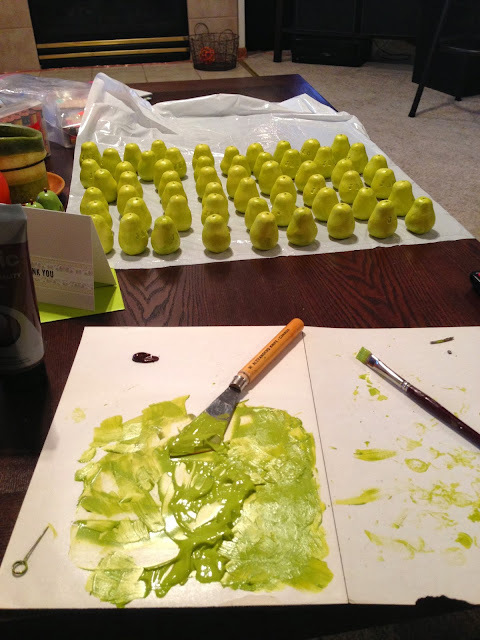 I mixed a lime-green with a touch of brown to get the color I wanted. 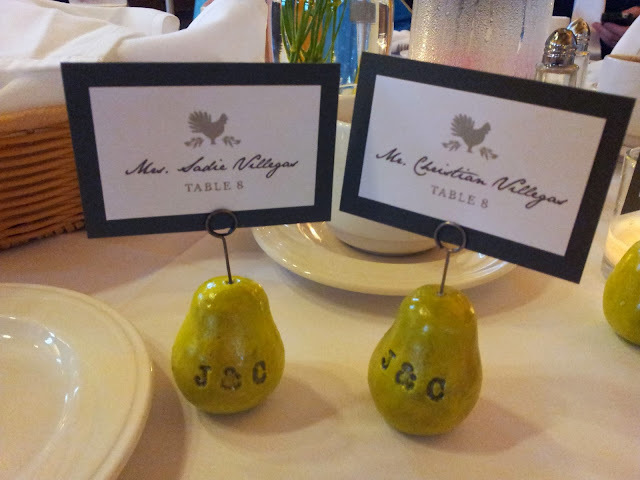 I loved how bright these pears turned out, but they still seemed to be missing something. 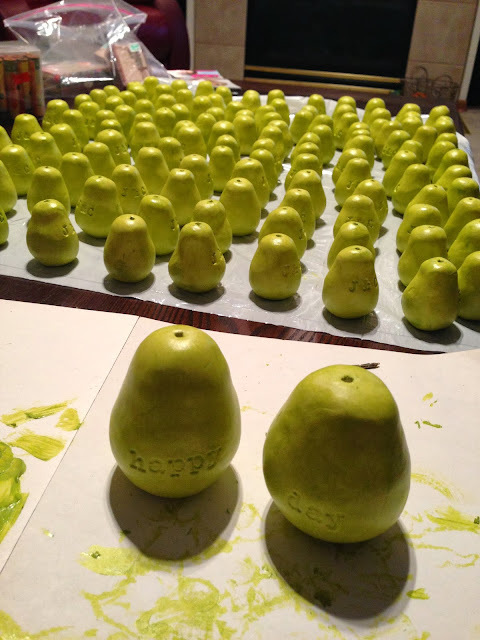 Doing another step to all 150 pears is quite the commitment, but once I tested one it was definitely the better and more finished version; so one more round of painting it was. This wasn't as difficult because it was more of a glaze process than a painting. I had this amazing glaze paint that I used from my Magnetic Chalkboard post. All it took was a bit of a rub into the initials and on the pear to give it a bit more realistic and dimensional finish. Finally, I added a sculpey glaze. They really finished them off, but also made them really durable. Overall I was so happy with how these turned out. It was quite the time commitment, but this was really the one signature piece from the wedding that I wanted to commit to. Reasonings being that I thought they would look really cool on the tables and they would be a cool take-home for the family. I know - why would people want to keep a pear that says J+C. True - the probably chucked them right when they walked in the door. I'm sure a hand-full were kept - those people can stick our christmas card or our wedding photo in them... or they can turn them 180 degrees around and have a cute pear decoration. I mixed one batch so I wouldn't have to try to match the color again later on. Baked and painted for the first round. I thought I was done, but decided to take it a step further. I recommend using rubber gloves. That way goes a lot faster and you don't have to be as careful. Final glaze added to seal the deal!